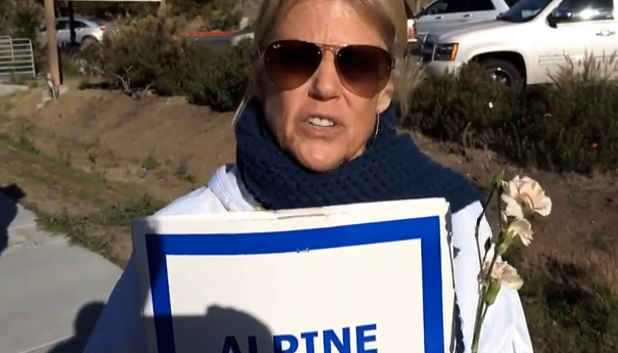 A three-day strike by teachers in the Alpine School District in San Diego’s East County region ended Tuesday when the two sides agreed to an 18-month contract. The instructors and district battled over proposed cuts in salary and health-care benefits that were needed by the district to balance its budget. The Alpine Teachers Association reported that 96 percent of members ratified the deal, which calls for a 5.5 percent pay reduction. The original salary reduction was 7.58 percent. The teachers union also said the pay cut might be smaller if state funding turns out to be more than expected. The teachers had argued that the district’s financial projections underestimated how much money would be received from the state. The cap on annual health benefits will be $9,500 per employee, rather than the $8,000 wanted by the district, according to the association. The benefits had been $13,500 per year. She said the settlement, though painful, can serve as a basis toward a better relationship with the district. The deal will need final approval by the school board.